Even three years after Haryana Police arrested Prof Virender Kumar, former political advisor to former CM Bhupinder Singh Hooda on charges of sedition, the investigating agency has not been able to find any “ocular or documentary evidence” against him in the case. The Indian Express has accessed a scathing note, dated March 3, 2017, written by the office of Haryana’s Additional District Attorney to Investigating Officer of the Rohtak district police asking the officer to “explain the reasons best known to him” for not being able to find any evidence against Prof Virender. Till date, Haryana Police has not filed a chargesheet in the sedition case against Prof Virender, who, the police claimed, had instigated rioters leading to violence across Haryana in February, 2016. Two other co-accused in the case are Jat leaders Capt Man Singh Dalal and Jaideep Dhankar, who are also currently out on bail. 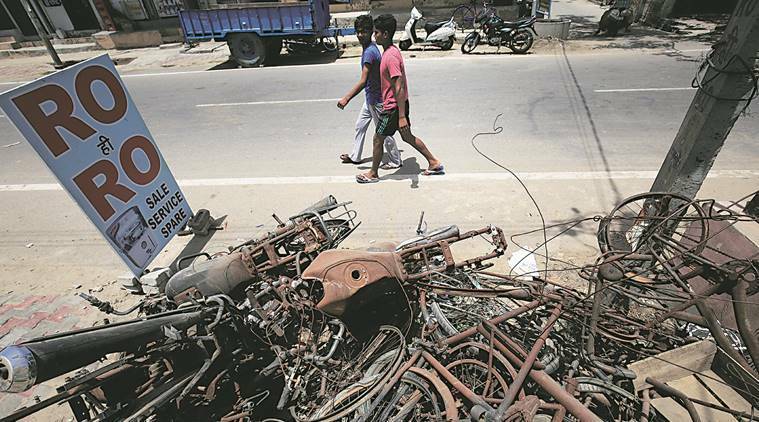 At least, 30 people had died when the Jat reservation agitation, paralysed the entire state for nearly two weeks. In March 2017, a draft-chargesheet sent to District Attorney’s office for approval, was returned with a note from the ADA that raised 13 objections on the police’s chargesheet. Out of these 13, on 10, the ADA had sought the Investigating Officer’s explanation on the failure to procure any evidence against Prof Virender.